Today is my 44th birthday. I wanted to share some awesome memories and think about what I learned. This year was my second year owning my own business, Press the Go Button. The steep learning curve of the first year was slightly less steep this year, giving more brain space and energy for multiple pursuits. 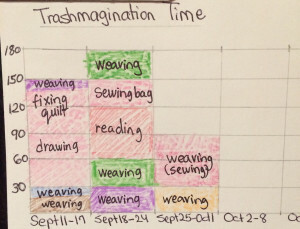 Trashmagination – I started tracking how much time I dedicated to making art, setting a goal of 3 hours per week. I used to think of Trashmagination as my reward once my work was done, but being an entrepreneur, my work is never done. I tried an experiment where I would do Trashmagination first thing in the morning for an hour, but sometimes that is not really feasible. So instead, I made a little graph on the fridge where I color in the hours. This worked perfectly, and now long-imagined projects are becoming real such as the plastic bag weaving on my looms. 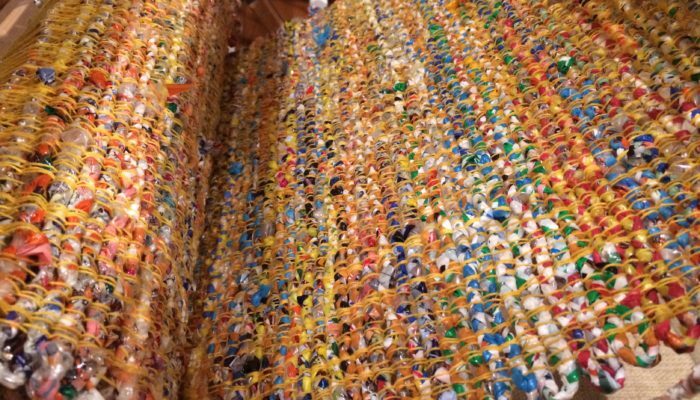 It fills me with joy every time I go in my living room and see my looms filled with weaving that I can pick up at any moment. I just made the first two podcasts and I enjoyed sharing Trashmagination on Instagram. Press the Go Button – I was blessed to have enough clients. I chose to focus 100% on delivery and spend very little energy on sales after February. I love my clients. It doesn’t mean our work is frustration-free. There are times I don’t know if I will be able to persuade them to “do the right thing.” It’s gratifing when skeptical clients see the logic – and then our work takes off! One client hires me to ghost-blog. I help their team members tell stories in a clean and clear way and I love the thought-provoking ideas they want to share. I feel lucky after every interview. With another client, I got to run an Innovation Engineering Create Session. Once again, the methodology worked. The participants came up with new marketing messages that were not on the radar, and when we tested them against their current messaging, a new message won. I hope some day I will run Create Sessions all the time, but doing even one was sweet. 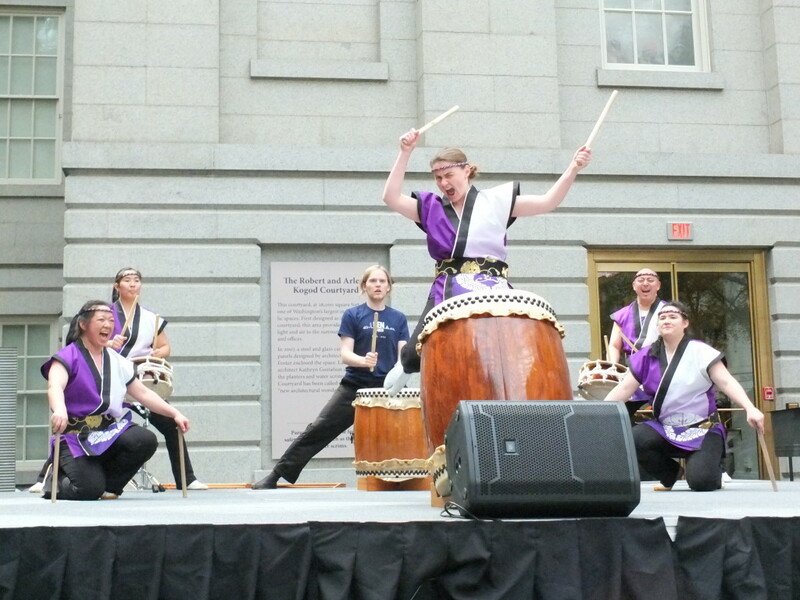 Nen Daiko – This year I got to know some songs well enough that playing was actually fun instead of mostly stressful! Working mostly alone all week, it feels great to be part of a team with Nen Daiko. In my role coordinating our marketing, it was an awesome year for photographers donating photos of our performances, including this one that helps me believe I actually can play. 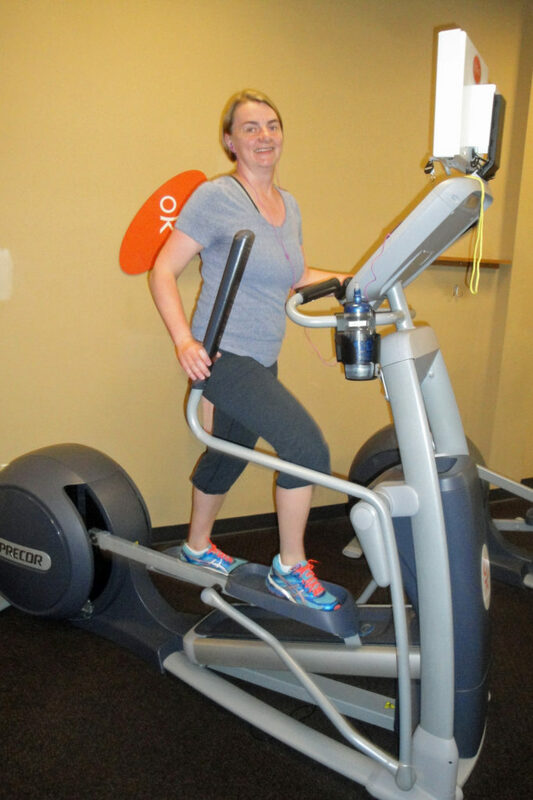 Healthy Daily Practices – Many days, I get to walk Russell to school and then I walk to my gym. I like that I don’t waste any brain power motivating myself to exercise. Exercise is part of the routine and it happens first thing. After, I come home to practice drumming. This sequence wakes up my brain and fills me with ideas of how to tackle my client’s challenges. As I walk, I listen to podcasts which give me ideas to help my clients. My FitBit motivates me to take mid-day walks, and Bob’s employer rewards us with Amazon gift cards for reaching fitness goals. I started a skin care regimen that solved my lifelong skin challenges (thanks Karen!) and attend Weight Watchers with a hilarious leader named Amanda. I feel physically and mentally healthier than ever before in my life. While my year was mostly about healthy practices, there were a number of experiences that were less comfortable and routine, but provided good “edge” to the year. 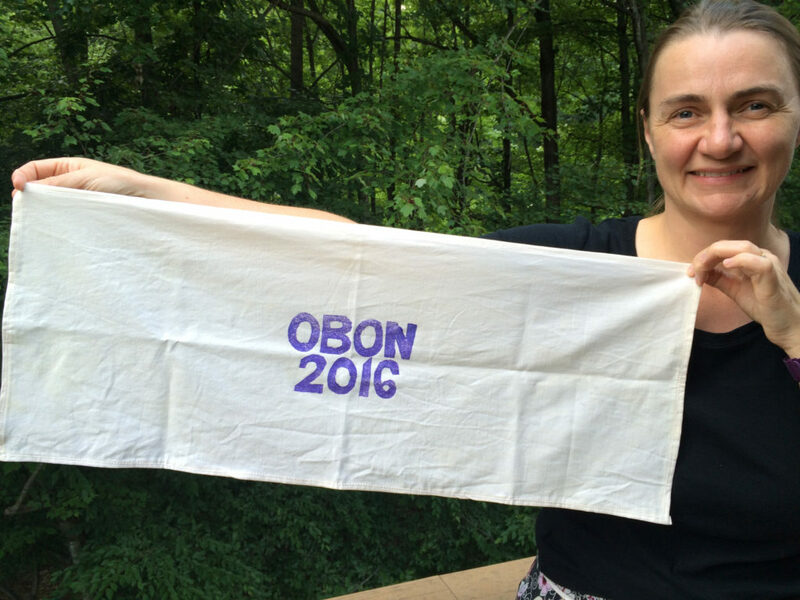 Volunteering with Obon – In April, I was worrying about my fellow Nennies Brant, Emily and Dee as they were pulling together Ekoji’s Obon Festival. I volunteered to help. I knew it would be a big lift. I didn’t know how much it would move me as I felt a sense of purpose and connection with Brant, Emily and Dee and the other Ekoji volunteers. At Obon, I felt extra grateful to Bob, Nora, Lisa, Aya, Joran, Leslie, Michael, Cliff and other volunteers for helping run the Activity Room. Responding to a federal contract RFP – It was a long shot, but Brant sent an RFP for an innovation contract with the Transportation Research Board. It took two months to prepare the response, including presenting at a transportation conference and finding a town that would be willing to be the test case. 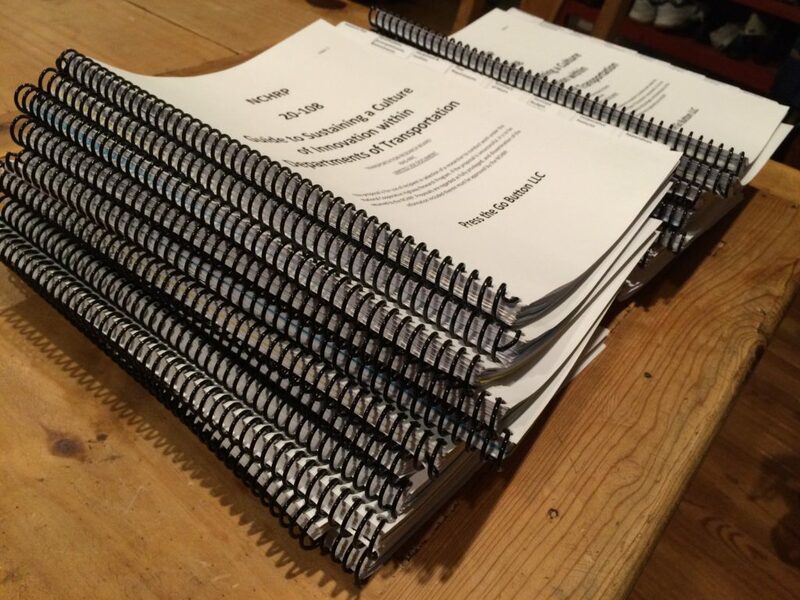 Hundreds of phone calls, multiple drafts reviewed by Brant and Kevin, a banker’s box full of printed proposals hand-delivered, and Press the Go Button didn’t win the contract. It was a good experience and helped me connect with many people I would never have had a reason to call otherwise. 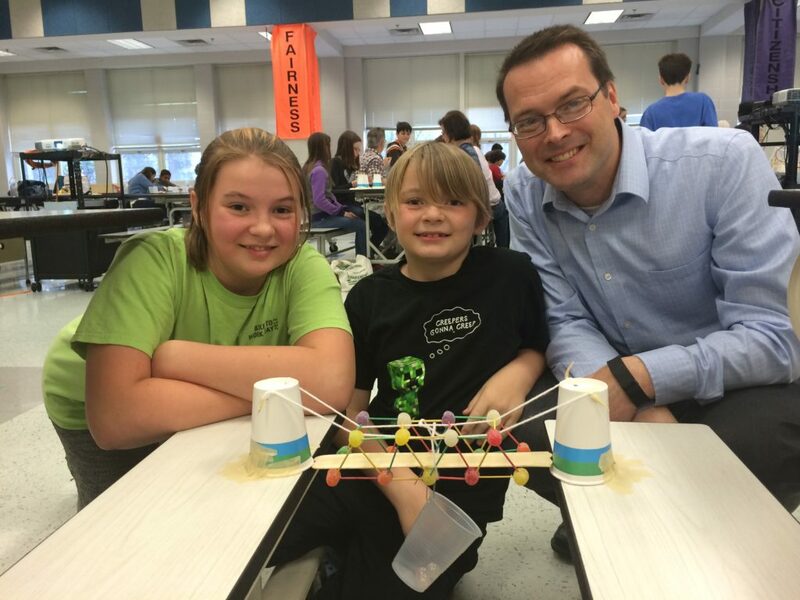 STEM program at Herndon Middle School – We were so excited to do this new activity as a family, and then at the first class, our family really struggled to work as a team. But we talked about it at home the next day, and over the next weeks, we got into a groove and made awesome prototypes. Many of my best memories relate to seeing my family try their best and stretch in their own lives. 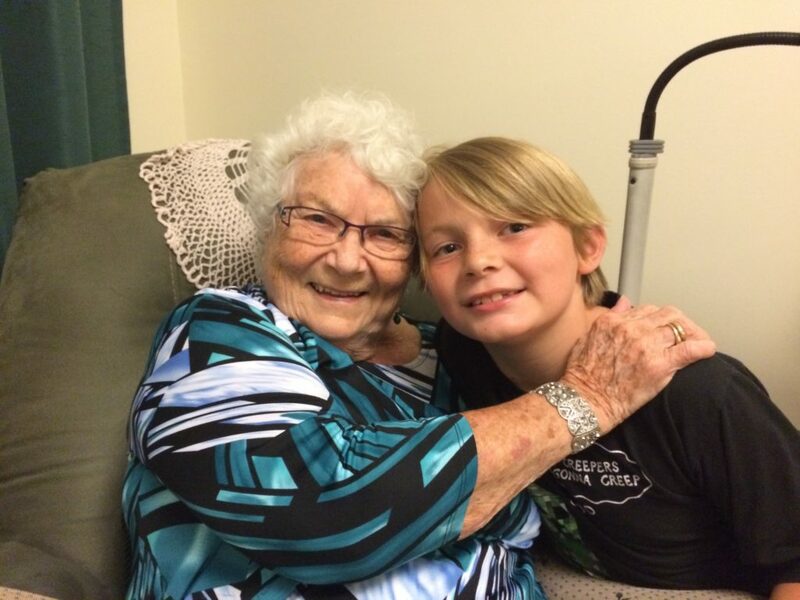 I am grateful my Nanny recovered from difficult surgery and has been thriving with lots of support from my parents and other family members. I love watching my kids drawing. Nora and Russell both spend hours developing characters. Nora shares her art on Instagram. I love watching my kids at music lessons, listening to how they talk with their teachers. When I am in the studio with Nora and her clarinet teacher, Laura Grant, I feel peaceful as the sun streams in the windows. I chuckle as I listen to Russell explaining his thoughts on viola with his teacher, Jill Wisinski. 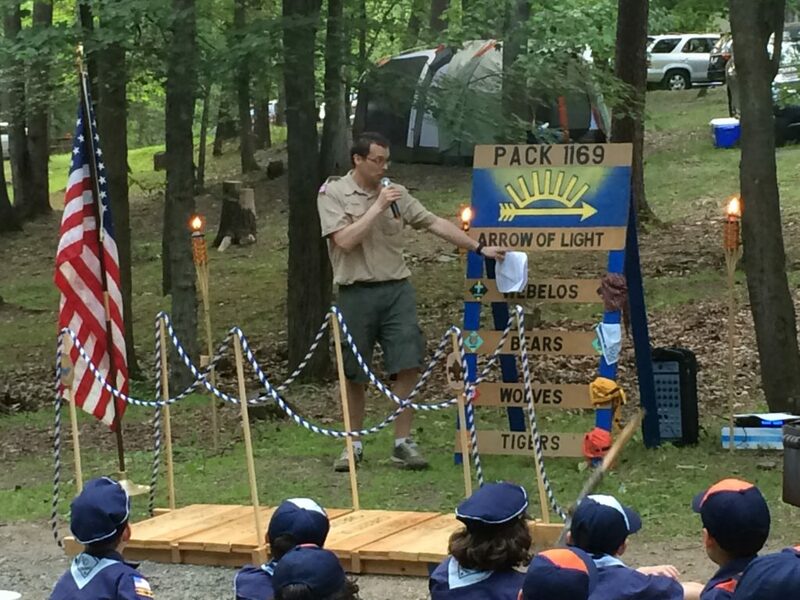 I love seeing Bob lead his Cub Scout pack. He makes it look easy. He takes great joy and pride to make it fun for kids and parents. I love that such a big group of people get to experience his way-of-being. Scouting has caused Bob and Russell to do so many activities they would never have tried, and they do it together. 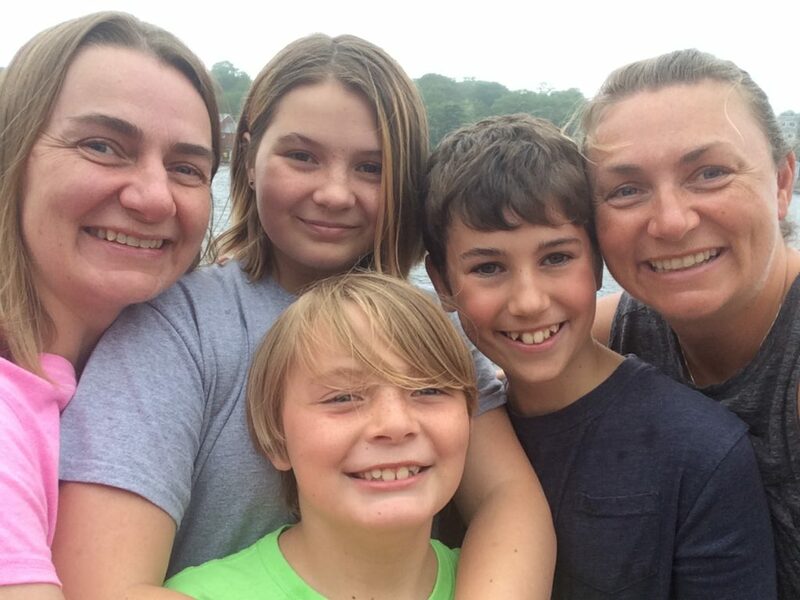 For example this summer they hiked a big mountain together – more than 35,000 steps for Bob. I love watching Nora play hockey. Last winter, she almost stopped playing after a tough season, but decided to keep going. Thank goodness because she has had two great seasons since. She now plays in a league that allows checking, but that’s no problem. She is confident on her skates and more than ready to check the guys. She joined my gym this fall to build her strength and endurance. I love reading Harry Potter with Russell. We are on book six after reading all year. He joined a Harry Potter club that is so imaginatively run. He gets spoilers from his cousin Owen which only add to his (and my!) anticipation.